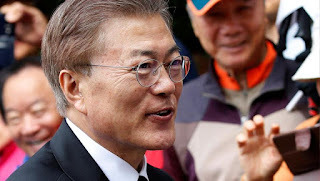 President Moon Jae-In (newly elected) has delusions of adequacy that can not be overstated. He's clearly a self-made man who worships his creator. President Moon said on 7 June, that the further deployment of the Terminal High Altitude Area Defense (THAAD) missile system should be suspended, pending an environmental impact study. The study could take a year to complete. The presidency said it wasn't calling for the withdrawal of two launchers and other equipment already positioned in southeastern South Korea. "But those that have yet to be deployed will have to wait," a senior administration official told reporters, according to Yonhap news agency. This is President Moon’s second significant gesture to North Korea. In May, he proposed discussions about reopening the Kaesong Industrial complex. North Korea has not acknowledged that gesture, much less responded. For China, the suspension is the reward of sustained, but gentle, pressure and patience. Chinese officials have opposed the THAAD deployment since THAAD negotiations were announced in March 2016. Since last July, when President Park made the decision to deploy the system, Chinese leaders have insisted that the THAAD deal should and could be reversed. Their policy of patient persuasion has been partially vindicated. China may be expected to ease unofficial restrictions on trade and tourism, tax audits and health inspections and other forms of economic harassment of South Korean businesses, which have been in effect since late last year. ROK can do what they think best, but there are a lot of US Servicemen and women on the Korean Peninsula to insure that the nation is safe and cozy. THAAD not only protects the ROK, but the US military people there, putting their lives on the line. Maybe it's time that we pull out and leave the South Koreans to the tender mercies of the Norks? Of course if we did that, it would put Japan in a serious bind. On 8 June, North Korea launched a salvo of four anti-ship cruise missiles. North Korea is keeping to the recent schedule of launching missiles weekly. Almost on cue, with this missile launch, North Korea returned to headline news. The North’s most modern anti-ship missile is the KN-09, which is a variation of the Russian KH-35. The limited launch information is consistent with the range of the KN-09, but the type of projectile is not yet confirmed. The Norks dream of taking out a US aircraft carrier. They don't dream of their homes being turned into a sea of radioactive glass. That's how they roll. On 7 June, terrorists attacked the Iranian parliament (Majlis) building and the Shrine/ mausoleum for the late Ayatollah Khomeini in Tehran, killing 12 people and injuring at least 42. The Islamic State/ISIS released a video of the attacks and claimed responsibility for them. The attackers spoke Arabic, but experts reported they did not speak like native speakers...because they were Iranian (native Farsi speakers) members of ISIS...which is weird, but the world can be like that. Social media shared clips of the explosion in the Imam’s shrine (attached) and the aftermath of it in the Majlis. All 4 terrorists in the Majlis and 2 in the Shrine were killed. The images indicated that the attackers included a suicide bomber in each team. This is the first attack in Tehran by the Islamic State. Tehran has not experienced any serious attacks in several years. The attackers are an extrusion, a product, of a system of which Iranian security was unaware or failed to destroy. An Iranian security official said the attackers were recruited inside Iran from different regions. That assertion suggests the system operates over a wide area, but can assemble an attack team without detection in Tehran, the very center of power. The official publication of that information does no credit to Iranian security agencies. It suggests that Iran has a serious security problem. I know that you've been waiting for your update on unfolding events surrounding Qatar. United Arab Emirates (UAE): Emirati Minister of State for Foreign Affairs Anwar Gargash said on 7 June that Doha has “chosen to ride the tiger of extremism and terrorism” and now needs to pay the price. "Strict and firm action will be taken against anyone who shows sympathy or any form of bias towards Qatar, or against anyone who objects to the position of the United Arab Emirates, whether it be through the means of social media, or any type of written, visual or verbal form," Gulf News quoted UAE Attorney-General Hamad Saif al-Shamsi as saying. In addition to a jail term, offenders could also be fined at least 500,000 dirhams ($136,000). The UAE leaders are uncompromising about the need to compel Qatar to change its policies. They are not open to a negotiated settlement. Turkish President Erdogan said that Turkey would be willing to send military forces to aid Qatar. The Turkish parliament approved a military deployment to Qatar on the 6th. Turkey and Qatar have had a military training relationship since 2002. In 2014 they signed a defense alliance that permits 3,000 Turkish soldiers plus air and naval units to be based in Qatar. About 150 Turkish soldiers are in Qatar at this time. The movement by the Saudis to isolate Qatar is in part to keep the Turks from reinforcing Qatar. 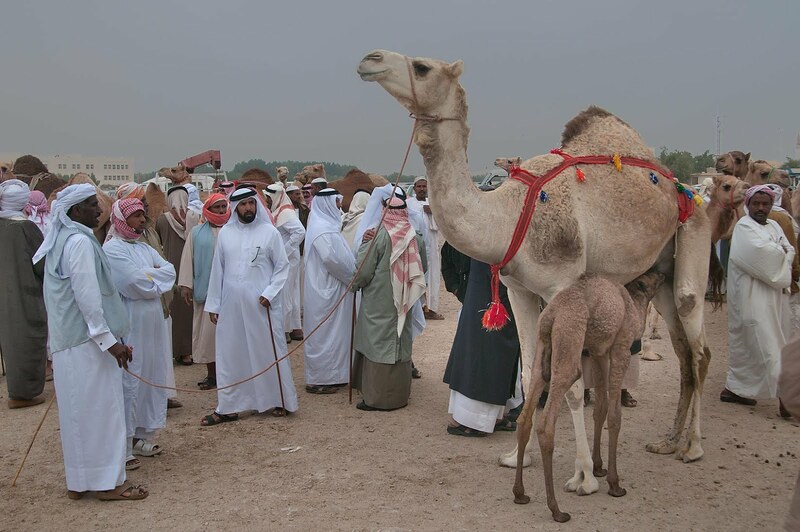 Qatar placed its 11,800-man armed forces on the highest alert for an imminent invasion. The Ministry of Defense announced that it would fire on any naval ships entering Qatari waters from any of the countries that have severed relations with Qatar. Daily life in Qatar - will it be interrupted? The Gulf States don't plan to invade Qatar, but they have a plan in place to blockade Qatar. I don't know if that would also include an air-exclusion zone to be set up around the country - but they have the resources to do that. Blockading Qatari ports would not be difficult. The movement of troops to the base of the Qatari military is taking place and it's the trigger that caused them to put their military on alert. The first-listed demand makes clear that the Saudi-led countries are putting pressure on Iran by holding Qatar accountable for its policies. Saudi Arabia’s underlying hostility towards Iran has never been on display in this manner. Saudi Arabia is demanding strict unity from the Sunni Arabs in confronting Iran. If Qatar complies, Qatar’s sovereignty will be compromised and multiple terrorist and extremist groups will lose their major benefactor. Qatar is being treated as an object lesson for other Arab states. Do YOU Dare to Call it Treason? The US has been at war with various and sundry radical jihadi factions since September 11, 2001. I'm going to focus on the US. Britain and France have different bodies of law and I'm unfamiliar enough with their way of looking at things, so I'll stick with what I know. 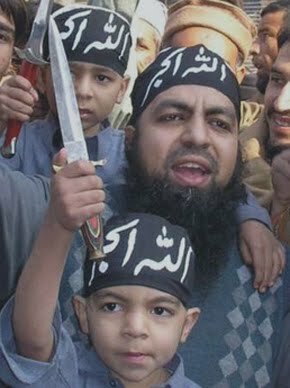 Jihadis in the US (so-called home-grown terrorists) are engaged in treasonous activity since we are at war with their masters. Within the US or elsewhere. Every single matter involving a lone wolf or other coordinated attack involves active participants and supporters (passive participants). All can be held guilty. The radical mullahs in the mosques can be said to 'adhere to the enemies of the US'. They can be held guilty under the statute as well. There is no cap on the fine and they must spend at least 5 years on prison - but they can also be executed. Why aren't we rounding up those who advocate making war against the citizens of the United States from among the ranks of the jihadis in the US, charing with them treason, locking them up and fining them or executing those actively plotting violence? How difficult is this? The elements of the crime are not difficult to prove. We are at war and we are losing people to radical islam on foreign shores every day. How would we have handled NAZI spies in 1942? What's the difference? Nothing of what I suggest above involves interference with the free exercise of religion. Islam is a religion and it's Constitutionally protected. Owing allegiance to the US and levying war, giving aid and comfort to those who do or advocating war against the US while we are at war with soldiers in the field is treason.